There is a research of the biggest frustrations that people face when implementing the Balanced Scorecard. The answer is: Motivation! 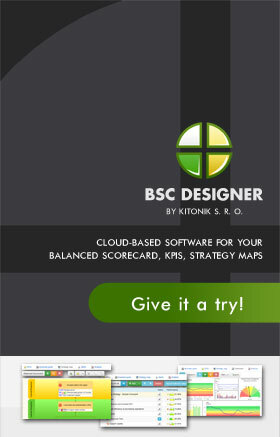 Yes, it is possible to buy some software system to support the Balanced Scorecard, but it is hard to actually motivate people! Nothing Motivates like Results! There is no better way to motivate people than with great results achieved quickly. If someone in your company implements the Balanced Scorecard and achieves great results, they will happily continue using this system—and they will spread the word about it to other departments. So, implement the Balanced Scorecard first in departments or business units where it will be easier to create indicators, get feedback, and produce measurable results—for instances, sales and marketing. Organizational Incentives. You can also motivate your employees by offering them special, organizational benefits. Perhaps your company has a process in place that allows employees to work remotely. 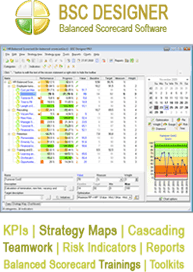 You could link this opportunity to the Balanced Scorecard. For instance, announce that if an employee successfully migrates to the Balanced Scorecard within the next month, they will be allowed to work remotely from home. 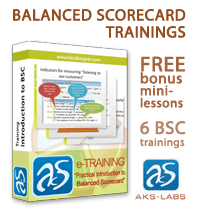 You will learn more in the eTraining: Motivating for the Balanced Scorecard.